If you weren’t already convinced of the women’s soccer team’s current dominance, then here’s some news that should change your mind: in a ranking released by D3soccer.com, the women’s soccer team was ranked as the 11th best team in the nation. They were also ranked 20th in the official national coaches’ poll top 25. The team strengthened this deserved reputation with yet another win on Saturday, this one a 2-1 triumph away against conference opponent Johns Hopkins. The Garnet showed composure in this game after falling behind early because of a goal in the 6th minute from Johns Hopkins. They did just that and eventually evened up the game in the last minute of the first half, as Sarah Hancock ’18 scored off a cross from Hannah Lichtenstein ’17. The Garnet carried this momentum into the second half, where they took the lead early on after Katherine Zavez ’17 scored in the 53rd minute, assisted by Marin McCoy ’19. The goal was the first of Zavez’s career, and came at a fine moment as it put the team ahead for the game. It also pointed to the team’s impressive depth, as Zavez was the 20th player to score a goal for the team this season. With an unbeaten overall record (9-0) and conference record (3-0), the team hopes to continue to prove why they are one of the best in the nation. Their next chance to do that will be this Saturday at home against in-conference opponent Gettysburg, which will be their only game this week. The men’s soccer team played away at conference opponent Ursinus on Saturday and only came away with one point in the standings after ending the game in a 1-1 tie. Although the game went the full possible 110 minutes, both of the goals were scored within the first four minutes of the opening half. The home team struck first, scoring a goal against the Garnet after only slightly more than a minute of the game had passed. The Garnet fought back immediately and put in a goal soon after, when Billy Evers ’17 scored on a free kick from 30 yards out by Ryan Meuth ’17. The goal was Evers’ first this season. Both teams attacked plenty throughout the remainder of the game, with the Garnet taking 20 shots to the Bears’ 14. However, neither was able to break through the others’ defenses and goalkeepers for the decisive goal. Goalkeeper Tyler Zon ’16 contributed to the Garnet’s defense with 4 saves. Last night, the Garnet played a non-conference match against Rowan at home, and lost 1-0 after Rowan scored the only goal of the game in the 28th minute. Although the Garnet were able to put more shots on goal, five as opposed to Rowan’s three, they ultimately were unable to find the back of the net. The Garnet’s record stands at 4-7-1 overall and 1-2-1 in Centennial Conference play. Up next for the team is a home match against conference opponents Gettysburg on Saturday. With two more wins this week after defeating Johns Hopkins on Saturday and Washington College on Tuesday, the volleyball team extended their current win streak to 13 matches. The wins also maintained the Garnet’s undefeated conference record (4-0) and added to their impressive overall record (14-3). The first win was special because it was the Garnet’s first road victory at Johns Hopkins in more than two decades. Although they dropped the first set 15-25, they rebounded and picked up the next three sets 25-22, 25-19, 25-20 en route to a 3-1 victory. Sarah Wallace ’18 led the Garnet in kills with 15, while Olivia Leventhal ’18 was close behind with 10 kills and a block. Malia Scott ’18 served up 5 aces as well. For the week ahead, the team has two more conference matches. The first is on Saturday at home against Gettysburg, followed by an away match at Ursinus on Wednesday. The Garnet hope to continue their undefeated streak and uphold their dominance in the Centennial Conference thus far. The field hockey team (1-8, 0-4 CC) continued to struggle against conference opponents this past weekend and fell to both Ursinus College and Johns Hopkins 8-0 and 3-1, respectively. The Bears, ranked 8th in the nation, proved to be the team’s most challenging opponent thus far and forced the Garnet into a 5-0 deficit within the first 15 minutes. 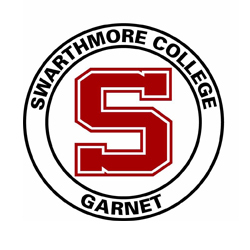 Swarthmore countered with four shots during the first period, three of which were on goal, but ended the period without touching the back of the net. The second period was marked by a barrage of shots from the Bears’ offense which resulted in Ursinus’ 19 shots taken compared to Swarthmore’s 0. Out of Ursinus’ 24 on-goal shots, goalkeeper Zelda Bank ’19 recorded a total of 10 saves to lessen the Bears’ offensive impact. However, the Garnet conceded two more points during the second half for a 8-0 loss. The team attempted a comeback against Johns Hopkins after the Ursinus loss, but ultimately fell to the Blue Jays as well. The Garnet suffered a 3-0 deficit within the first 34 minutes of the game but rallied soon after to score their first goal of the game. Erin Gluck ’16 broke the Garnet’s dry spell off of a corner shot taken by Ursula Monaghan ’17 and finished the goal off near the left post. Both teams were unable to find the back of the net in the second period during which Bank recorded a total of six saves. Goalkeeper Ainsley Parish ’16 also recorded a total of 5 saves in the first period. Today, the Garnet will travel to Chestertown, Maryland and go head to head with conference opponents Washington College in the hopes of earning their first conference win of the season. Katie Jo McMenamin ’16 highlighted the women’s cross country team’s performance this past weekend as she earned first place in the Paul Short Brown 6K run. Running against a whopping 387 athletes from all three divisions, McMenamin finished the race in 21:23 and crossed the finish line three seconds ahead of the second place finisher. McMenamin’s finish helped launch the Garnet to 10th place out of the 45 teams that competed from all three divisions. The men’s team competed in the Paul Short 8K run (which included 354 runners from all three divisions and 39 teams total). Paul Green ’15 led the way for the Garnet and finished in 105th place in 25:58. Corey Branch ’17 finished second for the Garnet in 26:12. Both teams will compete in their final meet this Saturday in the Inter-Regional Border Battle before facing their conference opponents in the Centennial Conference Championships hosted by Johns Hopkins on October 31. The men’s golf team tied for seventh place with Gettysburg College this past weekend in the Mason-Dixon Classic. Dan Altieri ’19 continued to lead the way for the Garnet and carded a par 72 on the first day and 76 on the second. This performance follows his two prior first-place wins, which were his first two collegiate tournaments as well. His outstanding performance thus far earned him the title of Centennial Conference’s Golfer of the Week last Tuesday. On the second day of the tournament, Nick DiMaio ’19, Drew Langan ’17 and Michael Chen ’17 all followed close behind Altieri and shot 77, 78 and 79, respectively. The men will travel to the Patriot’s Glen National Golf Club this weekend to compete in the Revolutionary Collegiate Classic hosted by Ursinus College.